Mallory As Birgit Prestoe. 2018. Pastel. 12" x 6.5". Casey Klahn. It's no secret how I admire Edvard Munch, of The Scream fame. His body of work is extensive, and he had a knack for the portrait in the Expressionist style. 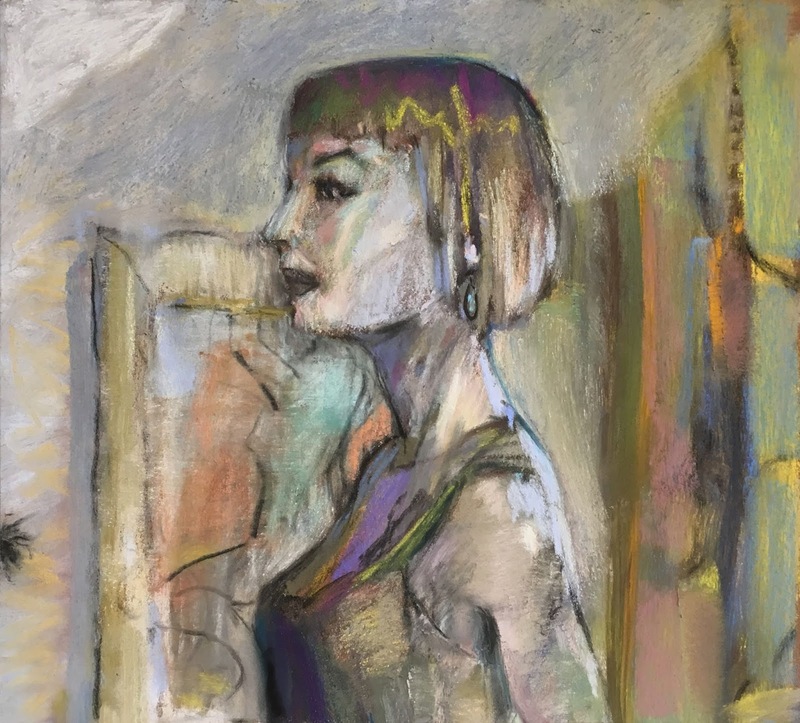 One of his great models was Birgit Prestoe, and in my latest portrait of model Mallory McIntosh, I am paying homage to that historic collaboration. 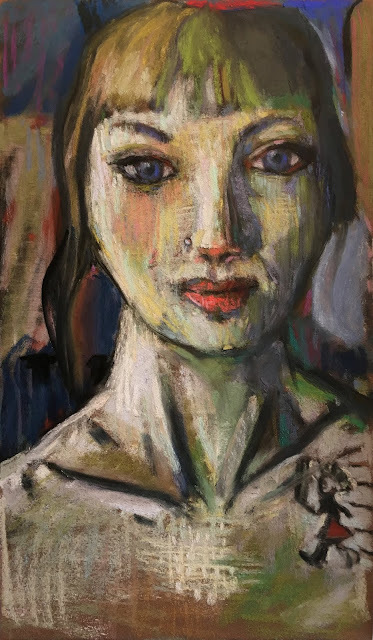 I will make a side note that the antique Roche pastels used in the lay-in of this painting date from the time when Edvard Munch was in his prime. Spooky, I know. If only the tools could talk. Model in the Studio, Orange Burst. 2018. Pastel & Vine Charcoal. 8.25" x 9.25". Casey Klahn. Mallory is posing in front of her own framed likeness, titled Orange Burst.